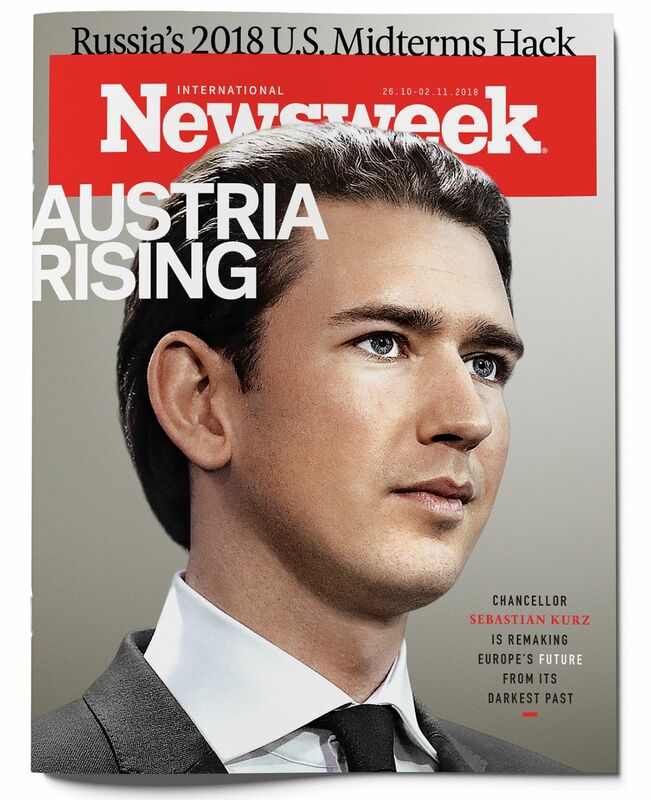 May 2017, when Sebastian Kurz took control of the center-right Austrian People’s Party (OVP), he remade it in his image. Lest the world ­underestimate the significance of this, the 32-year-old ­rebranded the OVP as the Sebastian Kurz List–New People’s ­Party. ­Seven months later the conservative populist became Austria’s ­youngest-ever chancellor, in addition to the world’s first millennial head of state and, according to some analysts, the future of Europe. 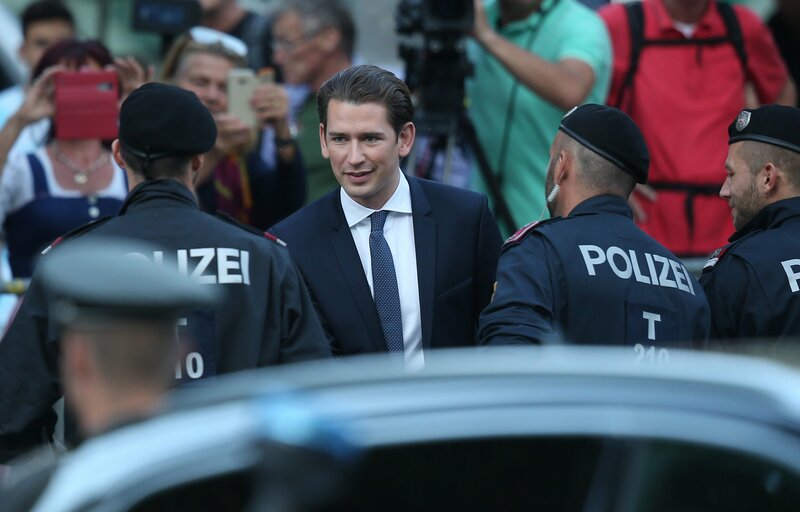 Like other right-wing populists ascending to power in the European Union, the ambitious Kurz has pushed a hard-line immigration agenda in response to economic stagnation and the Syrian refugee crisis. But his youthful persona and political happenstance have elevated his status and his ideas far beyond Austria’s borders. His rise coincided with the transition of the EU presidency to Austria, a six-month term, ending in December, that has given him a platform to challenge the liberal order of Europe and its cherished tradition of open borders. His tenure as EU president is not without controversy. Kurz’s official motto, “A Europe that protects,” is another way of saying “secure the continent’s borders.” He has the support of the openly xenophobic Freedom Party of Austria (FPO), as well as far-right leaders Viktor Orbán, Hungary’s prime minister, and Matteo Salvini, Italy’s deputy prime minister. Together, the three have proposed measures to control Europe’s borders, ­including establishing screening facilities for migrants ­outside the ­continent and returning those intercepted at sea to the country from which they came. For the first time in 100 years, since the end of the Habsburg Empire—when Austria ruled much of Europe for close to 500 years—the country finds itself in a position of power. The economy is growing, and unemployment is down. In September, the neoliberal daily Die Presse praised Kurz’s appearance at the United Nations as a show of strength “from the new small superpower.” The newspaper lauded what it described as Kurz’s “speed dating”: meeting with American, Turkish and Israeli leaders and making “major diplomatic successes” in just two days. The most notable achievement was brokering a meeting with Israel for Austria’s right-wing foreign minister, Karin Kneissl, who had angered Jews both at home and abroad when she wrote in her 2014 memoir, My Middle East, that Zionism was a violent ideology based in 19th-century German nationalism. As foreign minister in 2015, when Syrian refugees began streaming into Europe, Kurz suggested closing Austria’s border with ­Italy. Since taking power, Kurz’s government has shown it does not feel beholden to European norms; in early October, Vice Chancellor Heinz-Christian Strache said at a function in Vienna that he would like to follow the lead of Orbán and U.S. President Donald Trump by withdrawing Austria from the U.N. Global Compact for Migration, which aims to set standards for orderly migration. Kurz has long been a wunderkind. 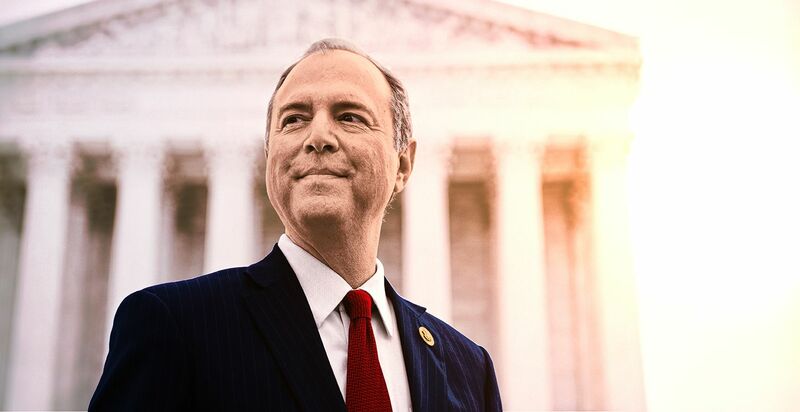 He grew up an only child in Meidling, a gentrifying neighborhood on the edge of Vienna, and entered politics as a teenager in the OVP’s youth ­organization. He dropped out of law school and in 2010 won a seat on the Vienna City Council. Within a year, he was appointed to the ­federal government as state secretary for ­integration of new immigrants. After winning the most direct votes of any candidate in Austria’s 2013 legislative election, Kurz was made the world’s youngest-ever foreign minister, ­becoming an integral negotiator in the 2015 nuclear deal with Iran. 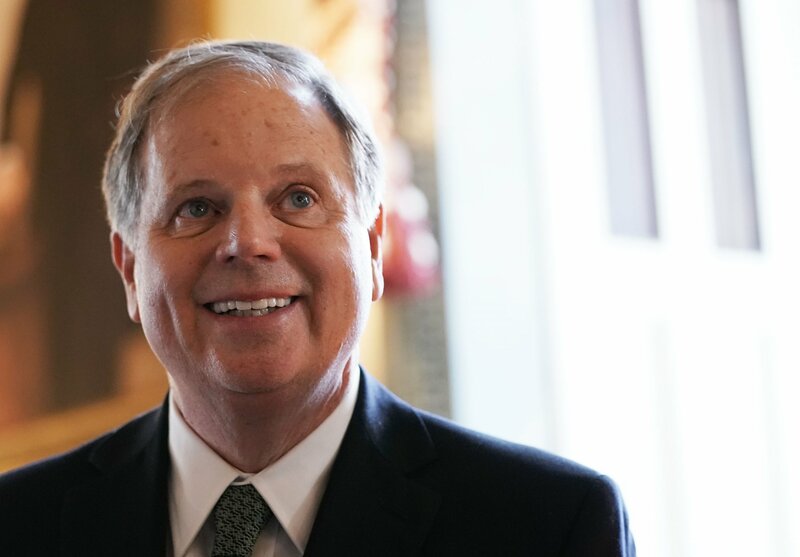 For example, alongside his 2017 campaign proposals on his website, such as tax cuts for families, he included a projected timeline for implementation and a “program generator” so each citizen can find government services. While the move is seemingly simple, Kurz’s admirers point out the stark contrast to the EU’s remaining progressive vanguards, Merkel and France’s Emmanuel Macron, who have adopted a more opaque approach to government—one that, along with the migration crisis, is increasingly undermining their popularity. After winning the French election with 66 percent of the vote a year ago, Macron had a 29 percent approval rating in October. That and the departure of seven top ministers in the past few months—many of whom expressed dismay over Macron’s inaccessibility—have left his administration in crisis. 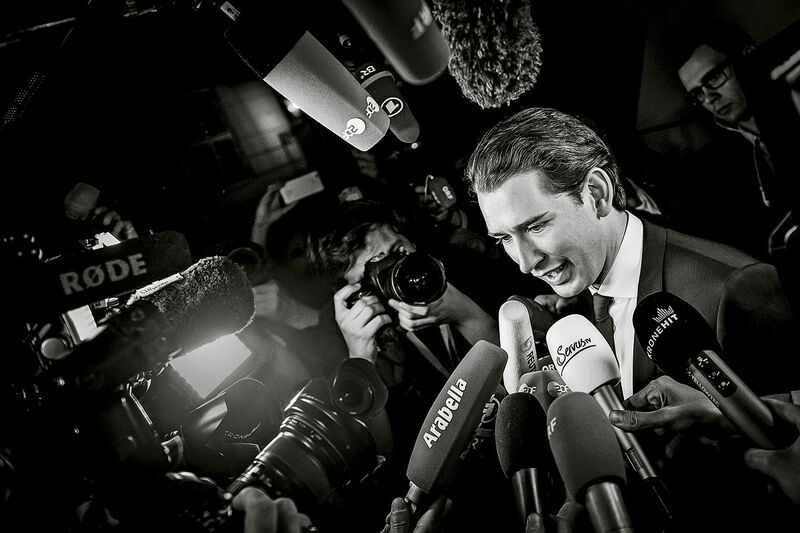 Is Austria's Press Freedom In Peril? With Macron and Merkel in jeopardy, Kurz sees a chance to fill the void on the world stage. And notably, Austria seems united behind him, regardless of age. 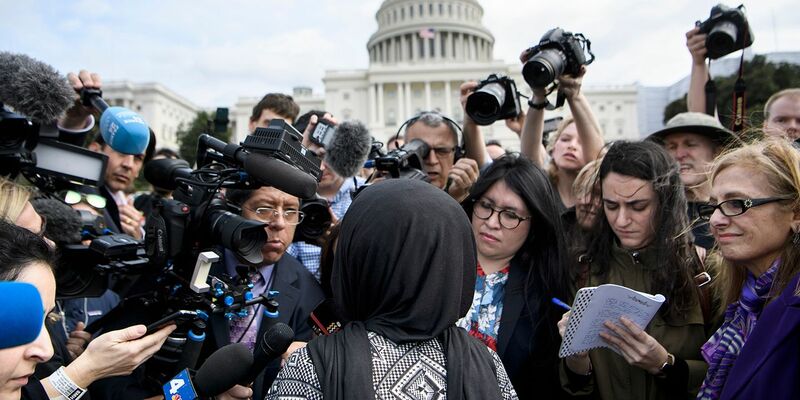 “It doesn’t make sense to speak of a generational difference in support for the government,” says professor Peter Filzmaier, a leading political scientist at Austria’s Graz and Krems universities. 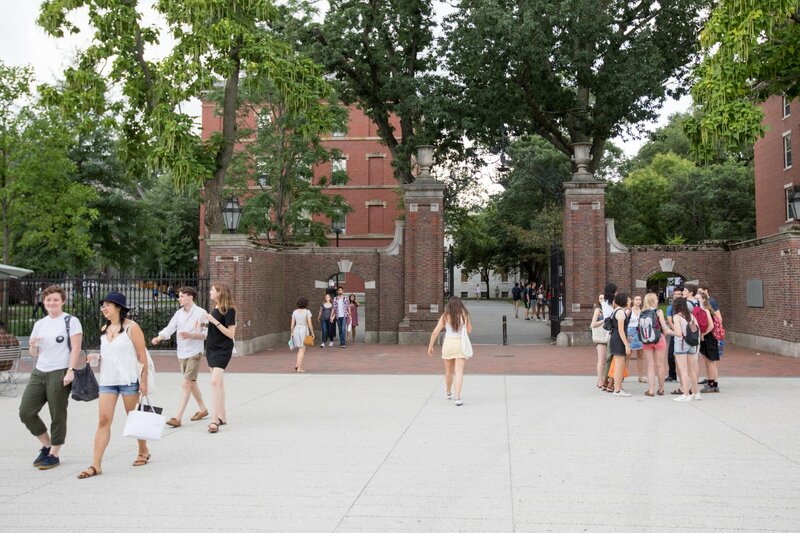 Additionally, he says, archconservatism and traditional values aren’t the purview of baby boomers or the elderly; both score well with young voters here. 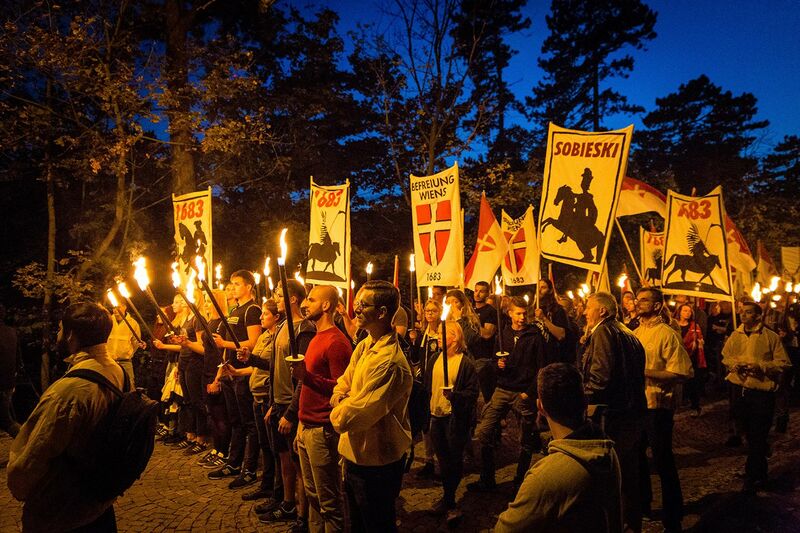 Deep in the Austrian countryside, on church-owned land, Europe’s largest annual neo-Nazi convention takes place in the small town of Bleiburg. Here, every May, roughly 10,000 participants from all over the EU swap Hitler salutes. 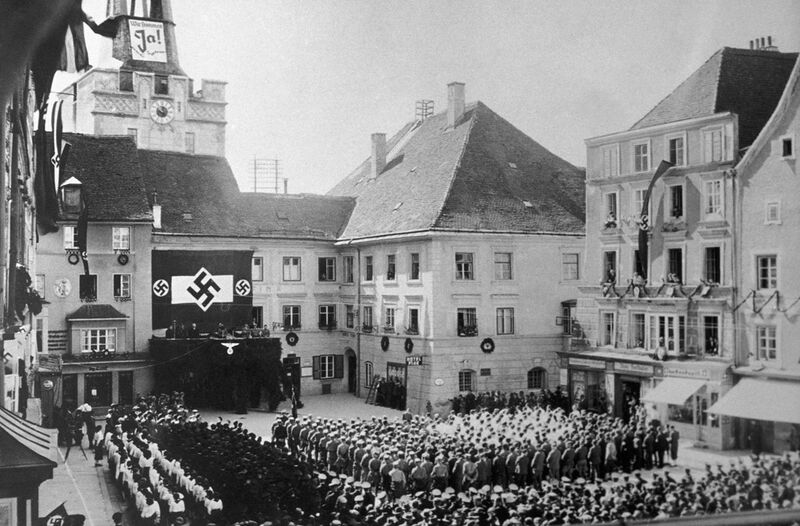 Activities include inflaming tensions with Italy over South Tyrol (formerly an Austrian province and home to thousands of ethnic Austrians) by suggesting Austria take it back and paying homage to Croatia’s Ustase army, best known for the only Nazi extermination camp built voluntarily, without German participation. Austria is also home to the increasingly visible European far-right group Generation Identity, which promotes acts of violence against leftists and refugees, including a 2016 incident at the University of Vienna; members screamed and threw fake blood at refugees performing in a play. GI’s ideology—a bizarre web of nationalism, anti-Semitic conspiracy theories and Islamophobia—is often spread using hipster aesthetics and left-leaning tactics; for example, they want to follow Greenpeace’s lead and take to the sea—only instead of saving refugees, they would stop rescuers from ­helping. Their leader, Martin Sellner (whose fiancée is American alt-right You­Tuber Brittany Pettibone), scored a major legal victory in July when he was cleared of hate speech charges, prompting the government to rethink relevant statutes: After the verdict, the president of the legislature announced a need to strengthen hate speech laws. Merkel and Macron are determined to stem the tide of rising populism and come up with a liberal solution to problems of migration policy. Their success will be determined by the European elections in 2019. While the EU may have ostensibly agreed to a bloc-wide immigration policy at a summit at the end of June, concrete details of a future plan were scant, and leaders have shown little sign of implementing any new strategy. But Kurz has picked his side. Just a few days before the summit in June, he staged provocative army exercises at the border of Slovenia to show he was ready for any migrant-related activity. It was a highly irregular move for a country ostensibly aligned with Germany, a champion of open borders and averse to military action. But Austria’s chancellor has hinted at a willingness to break with Berlin. Although his party has strong ties with Merkel’s CDU, Kurz has shown a readiness to pivot toward the greatest thorn in the German chancellor’s side—her archconservative interior minister, Horst Seehofer. Seehofer is the former governor of Bavaria, the German state bordering Austria. He prompted the first major crisis of Merkel’s new government in June, when he threatened to remove his Christian Social Union (CSU) party, the Bavarian sister of the CDU, from the ruling coalition over immigration. While Kurz was careful not to take sides, his sympathies were clear. He said he was happy that Germany was having a debate about its liberal immigration policies. Launsky-Tieffenthal, the Austria spokesman, downplays both the importance of the military maneuvers and Kurz’s ties with Orbán. “There is no one the chancellor is in contact with more than Merkel. 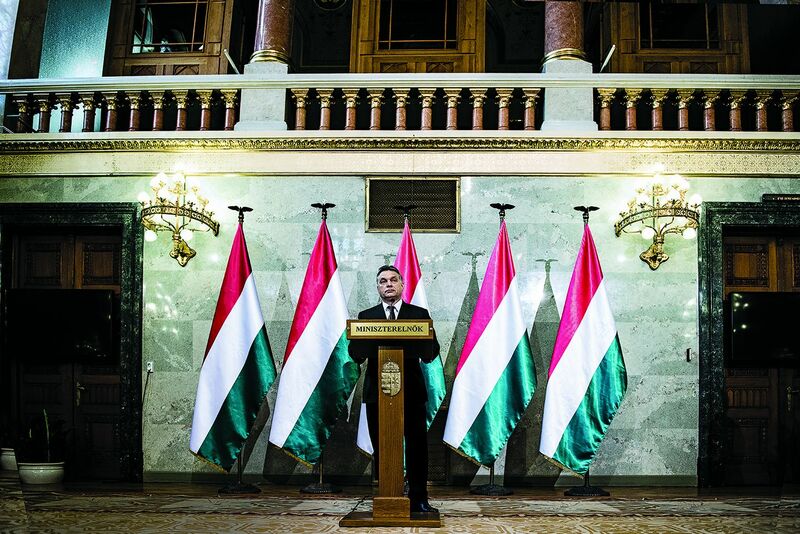 Yes, we have some common ground with Hungary…but the relationship with Orbán isn’t so special,” he tells ­Newsweek. “We simply want to be bridge builders” between Eastern and Western Europe. 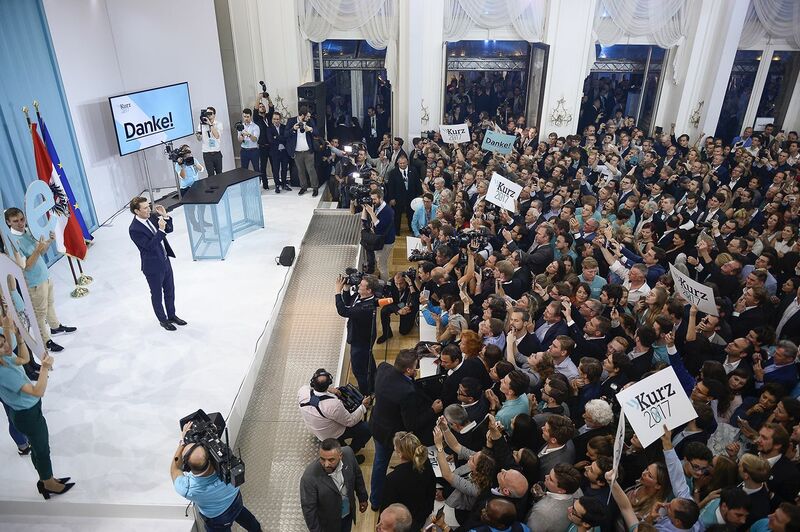 Some suggest that Kurz saw Bavaria’s key regional elections in October as an opportunity to align German policy with Austria; his recent appearances with officials from Seehofer’s conservative CSU were seen by some as tacit endorsements. “He may use the EU presidency and his chancellorship to more strongly align himself with Seehofer and the CSU over Merkel,” says Filzmaier. Germany has a key advantage for countering the rise of populism: It has acknowledged and made amends for its Nazi past, and there is an organized and motivated left-wing movement to keep the far right in check. AfD can’t hold a political convention without meeting tens of thousands of counterdemonstrators, who frequently outnumber far-right marchers. In one memorable event in Munich last year, roughly 100 extremists were boxed into a central square by thousands of opponents. In Austria, however, only a smattering of protesters make their way to Bleiburg to demonstrate against the annual neo-Nazi meetings. The reason for this extends to the immediate aftermath of World War II. There was no equivalent of the Nuremberg trials in Austria. Vienna did not begin to question the Nazi leaders remaining in power until 1986, when it was discovered that former U.N. Secretary-General and Austrian President Kurt Waldheim had been an intelligence officer for Nazi Germany’s armed forces, the Wehrmacht. 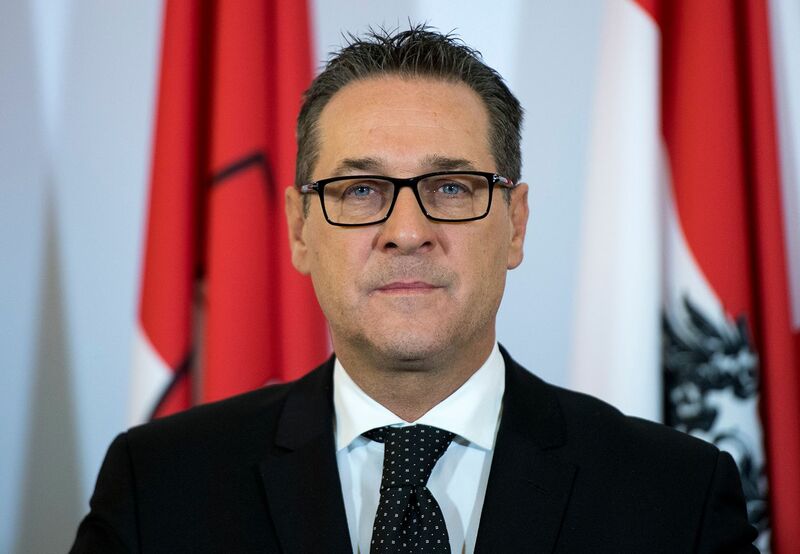 Recently, on top of Strache’s stated ­belief that Jerusalem should be the capital of Israel, Kurz has been making overtures to Prime Minister Benjamin Netanyahu, who, according to The Jerusalem Post, met Kurz in a private art gallery ­replete with Austrian masters like Gustav Klimt and Egon Schiele. 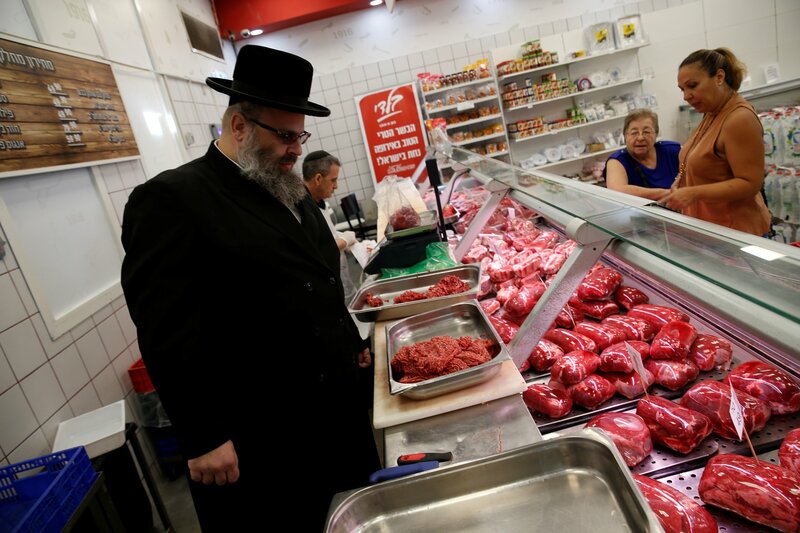 There, Netanyahu reportedly praised Kurz’s new immigration curbs, and the Austrian leader hinted at his desire to hold a conference on Islamic anti-Semitism. One of those new immigration curbs was introduced by ­Interior Minister Herbert Kickl of the FPO, alongside his Italian counterpart Salvini, a relationship that has grown noticeably tighter. Together, the pair announced in September a plan to stop ships carrying immigrants before they land in Europe. “They will be well looked after on the ships,” Kickl said of the vessels, notorious for filthy conditions and lack of food and ­water. Immediately after the meeting, Salvini made it clear that the aim is to stop immigration from Africa and the Middle East at all costs. All signs suggest the Kurz administration is just getting started. 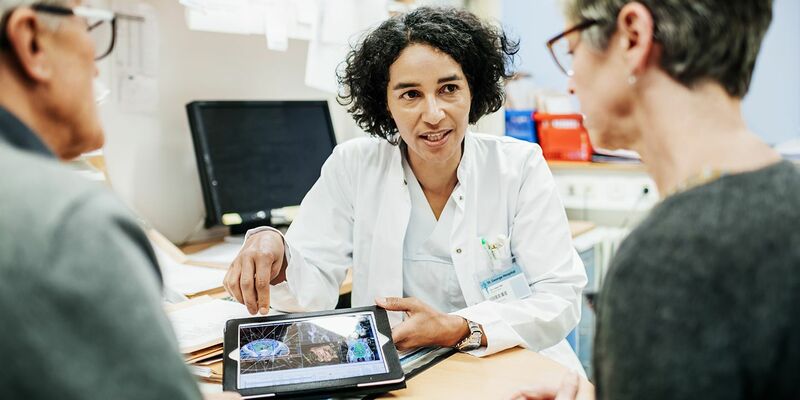 The government recently unveiled the dubiously titled initiative “new fairness,” a policy that ensures Austrian citizens are “treated fairly.” Simply put, natives will be first in line for government benefits, while refugees and migrants may see cuts in support. In addition, integration programs for new migrants, such as workplace apprenticeships, have been scrapped, and ­access to German lessons has been reduced. The new system will also distinguish between economic ­immigrants and those seeking asylum, with a preference for the latter. And there are, apparently, limits: In one case in September, a gay Iraqi refugee had his asylum application rejected because he was “so girlish.” The authorities apparently decided he was just pretending to be gay. 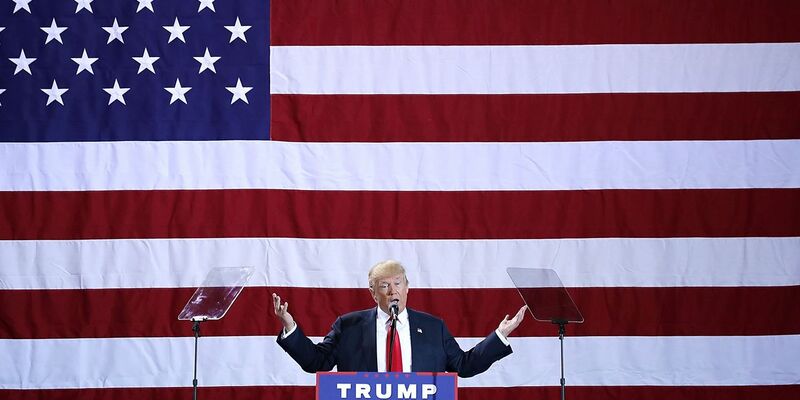 Alongside immigration reform are major plans for economic incentives, including rewarding families for having children, as the native-born population is dwindling, and encouraging people to start businesses. According to the government, these are the same priorities they want to focus on for the remainder of Austria’s EU presidency. Kern also accused the FPO of “playing Kurz like a fiddle” and condemned the alliances with the ethno-­nationalist governments of Italy and Hungary. But those criticisms seem unlikely to translate to political gains; Kern was poised to spearhead a left-wing countermovement to Kurz in next year’s elections, but then, to the surprise of his own party, abruptly retired from politics in early October.